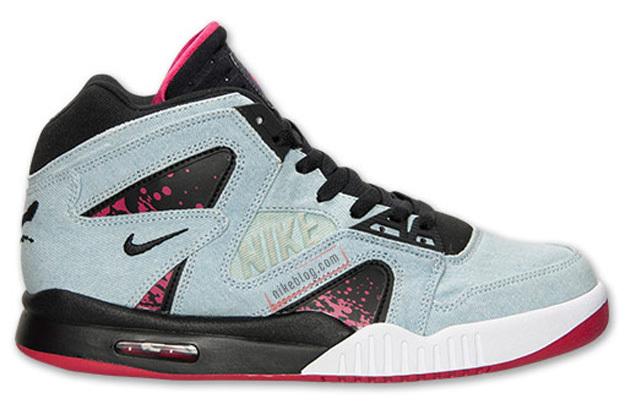 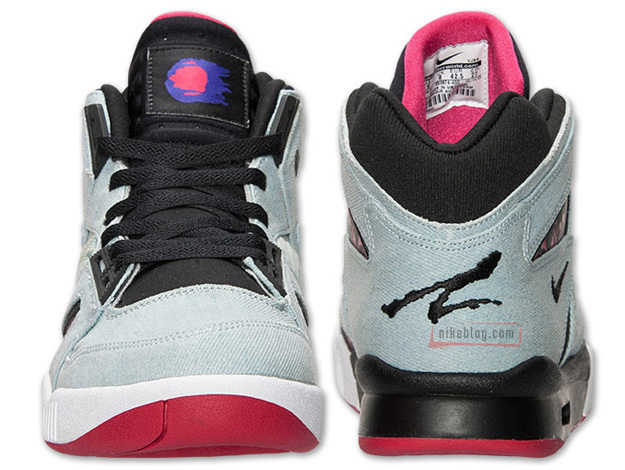 The return of the Air Tech Challenge Hybrid by Nike Sportswear will include this all new denim-covered version. 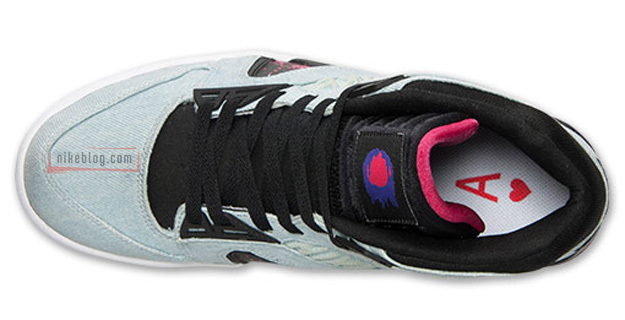 The stylish take on the Agassi-inspired hybrid rocks a light wash denim upper with paint splatter overlays in hot pink, woring together with a black tongue and laces. 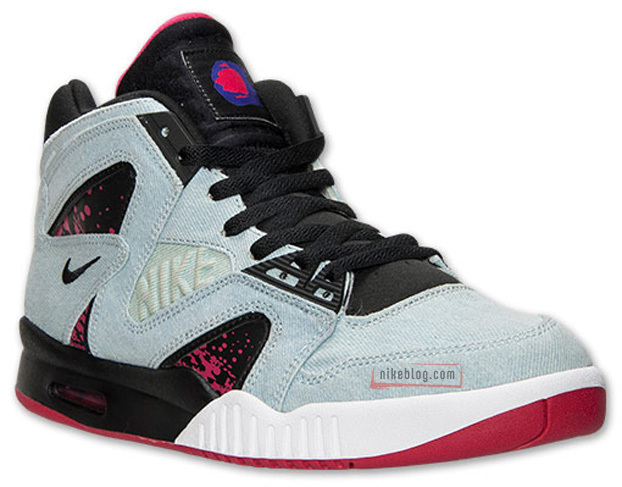 The hot pink hue also hits the tongue branding and tongue lining, matching the outsole sitting below. 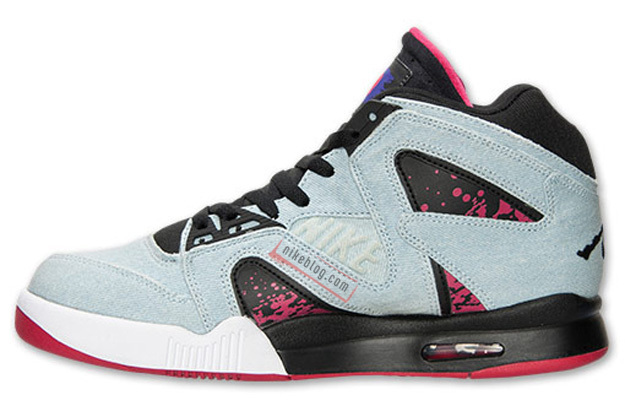 The 'Denim' Nike Air Tech Challenge Hybrid is expected to hit retailers in July.